Suzzanne Douglas will explore wisdom gleaned from her experiences performing across the United States and in countries around the world. She will talk about the bias and prejudice she has encountered as well as the enlightenment imparted by teachers and guides. Suzzanne Douglas is an award winning actress whose work has led her through all walks of creative life. Most recently she performed in 42nd Street at the Drury Lane Theater, Center Stage’s Les Liaisons Dangereuses, and George Street Playhouse’s American Son. 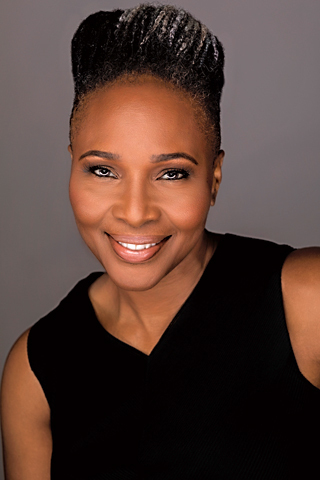 Other theater credits include Arthur Laurent’s, Hallelujah, Baby!, which Laurent re-wrote for her, and Wit, where Suzzanne became the first African-American to play the role of Dr. Bearing. She is best known for her co-starring role in Parent ‘Hood, and has also appeared in Bull, The Good Wife, Bones, and Law and Order. Her extensive filmography includes How Stella Got Her Groove Back, School of Rock, The Inkwell, Tap, and Changing the Game. Suzzanne’s vocal talents have taken her from Broadway, starring opposite Sting in The Threepenny Opera, to the concert halls of Russia, with Jon Faddis. A singer and composer, she performs regularly with her trio, performing music from the American Songbook as well as her original compositions. Suzzanne earned a B.A. at Illinois State University and a Masters at the Manhattan School of Music.